Kia Ora and welcome to the Shooting Star GC Members New Zealand Experience. 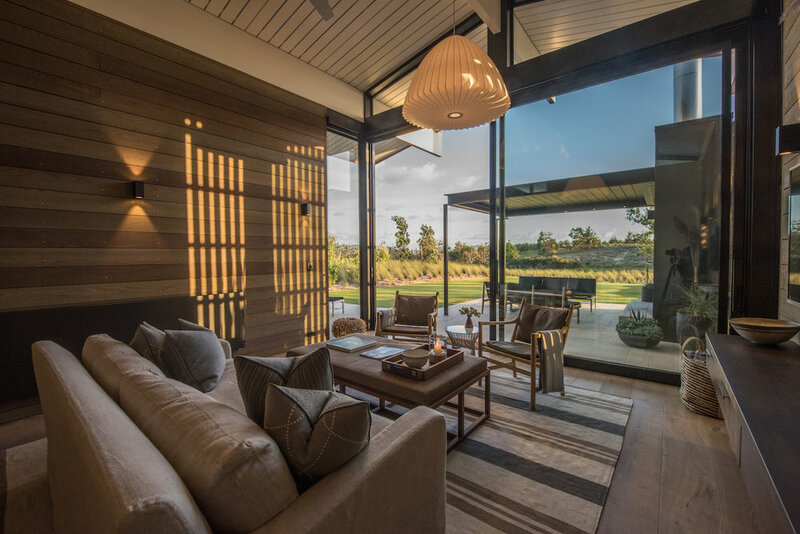 We have put together a showcase on your suggestions and have included a range of great activities along with a stunning selection of lodge and boutique hotel offerings. Your expert travel planners Samuel St George and David Maxwell will make sure you are in good hands while experiencing this incredible country. This promises to be one special journey. We look forward to hosting you throughout this fantastic experience, and welcome to New Zealand. Mangawhai is a locality in Northland, New Zealand around the Mangawhai Harbour. The township of Mangawhai is at the south west extent of the harbour, and the township of Mangawhai Heads is 5 km north east. Mangawhai, also known as Mangawhai Heads, is nestled between the Pacific coast and rolling farmland. You’re offered a choice of seaside experiences here – a surf beach on one side and safe harbour beaches on the other. 5:45am Dan Denehy arrives on flight UA6755. 5:45am Wes Roberts, Mike Kramer, Geoff Armstrong arrives on flight NZ7. 6:45am Tom Oyler arrives on flight NZ6751. 7:30am Peter and Sean Evans arrives on flight UA6753. 9:20am Todd Doney and Jeff Worthe arrives on flight AA83. 10:30am Depart in a luxury van to Tara Iti Lodge, located in Mangawhai. Upon arrival you will be shown around the facility and your accommodation by the team from Tara Iti. 12:15pm Gather down at the pro shop where Head Golf Professional, Paul Reid will give you the rundown of the course. 1:00pm Tee off for your first round of golf at Tara Iti. Caddies will be provided to each group. 7:30pm Dinner will be served in the lodge. *Total drive time is 1 hour 45 minutes. 7:00am Check out of your accommodation. 8:00 am Tee off for your second round at Tara Iti Golf Course. Caddies will be provided to each group. 12:30 pm Lunch is available at Tara Iti Golf Course. 2:00 pm Meet your driver outside the main entrance, and depart in your luxury van to The Lodge at Kauri Cliffs located in the Bay of Islands. 4:45 pm Upon arrival you will be shown around the facility and your accommodation by the team from Kauri Cliffs. 6:30 pm Tonight you will enjoy a special evening down at Pinks Beach for dinner. Combine one of the most beautiful beaches in the world with a meal of fresh grilled seafood, lamb and other local produce. Partner this with New Zealand cheese and wine, and you have a barbeque experience never to be forgotten. (This experience is weather dependent). *Total drive time is 2 hours 45 minutes. Just a 45-minute flight north of Auckland is the stunning Bay of Islands, one of NZ’s top tourist drawcards. With its unspoiled coastline, beautiful sandy beaches, turquoise waters and 144 untouched islands, this region enjoys a subtropical climate, and so you can expect warm weather year round. The Bay of Islands Maritime Park is one of New Zealand’s best loved destinations, offering world-class diving and snorkeling, with an array of wildlife including, dolphins, whales, penguins and gannets. It also has great sailing, kayaking and big-game fishing. 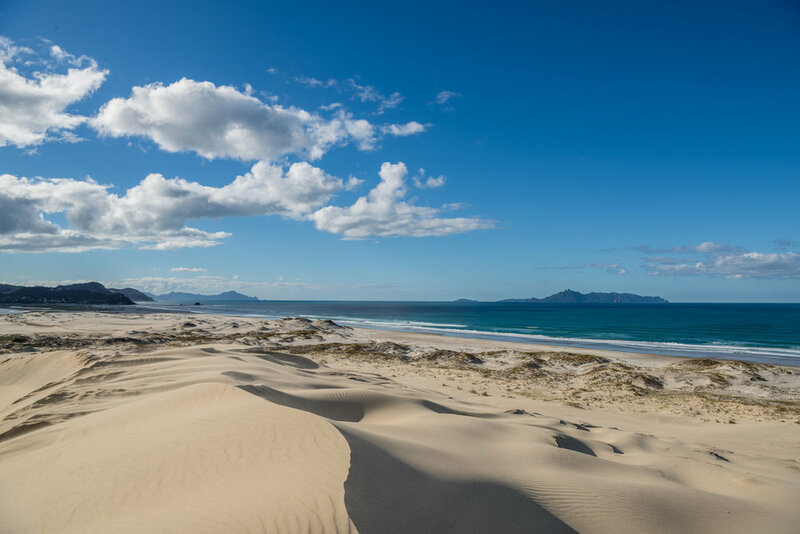 Not only is the region blessed with stunning natural beauty, it has enormous historical significance, as the site of New Zealand’s first permanent British settlement and the birthplace of European colonization in the country. 7:30am Gather down at the pro shop where Head Golf Professional, Cameron Barnes will give you the rundown of the course. 8:30/8:45/9:00am Tee off for your first round of golf at Kauri Cliffs. 1x four caddie will be provided to each group. 1:00pm Lunch is available outside the Lodge on the front lawn. 2:00/2:15/2:30pm After lunch you will tee off for your second round of golf. 6:30pm Enjoy pre-dinner drinks with canapés. Dinner will be served in the lodge. 8:00am Meet your driver outside the main entrance, and depart in your luxury van to Bay of Islands Airport for your flight to Napier. 9:45am Depart to Napier via Auckland, courtesy of Air New Zealand on NZ8267. 10:30am Arrive into Auckland Airport. 11:45am Depart to Napier, courtesy of Air New Zealand on NZ5011. 12:45pm Arrive into Napier and be greeted by your driver. Depart in a luxury van to The Farm at Cape Kidnappers. 2:00pm Upon arrival you will head straight to the golf course to join the shotgun start for your first round at Cape Kidnappers. Snack pack lunch will be prepared for each group. Your luggage will be taken by your driver to the lodge to be placed in your rooms. 7:00pm Enjoy pre-dinner drinks with canapés. Dinner will be served in the lodge. An hour’s flight southeast of Auckland is Hawke’s Bay, a region of diverse and magnificent landscapes, from mountains and hill country down to inland and coastal plains. Blessed with fertile, alluvial soils and a warm temperate climate, Hawke’s Bay is home to hundreds of farms, orchards and vineyards, making it New Zealand’s agricultural powerhouse. 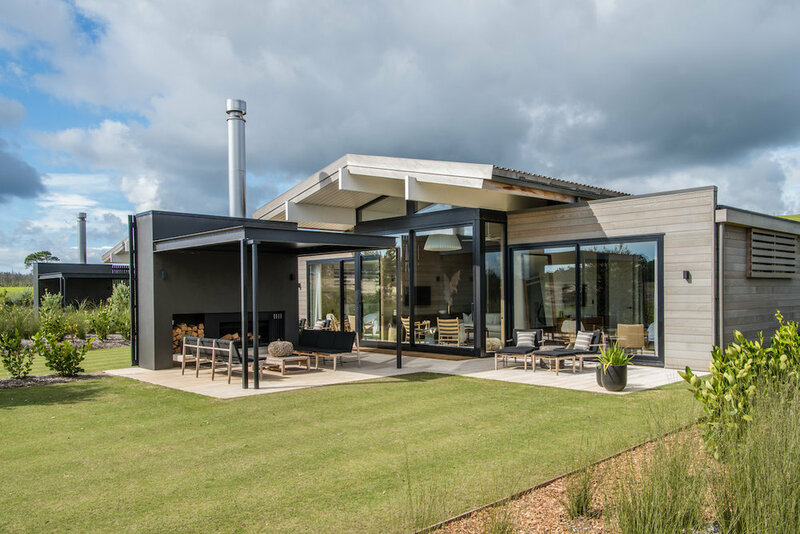 For the tens of thousands of visitors that flock to the region each year, it’s the food and wine that are the biggest drawcards, and with good reason, as the Hawkes Bay produces some of the best of both the country has to offer. On the coast, sits the town of Napier, one of New Zealand’s busiest commercial ports and host to a growing number of cruise ships. It’s also the country’s Art Deco capital, having been almost completely rebuilt in the Style Moderne after a devastating earthquake in 1931. 7:30am Gather down at the pro shop where Head Golf Professional, Jon McCord will give you the rundown of the course. 8:30/8:40/8:50am Tee off for your first round of golf at Cape Kidnappers. 1x four caddie will be provided to each group. 2:00pm After lunch you will enjoy the afternoon at your own leisure, or partake in a ATV Quad bike experience of the 5,000 acre property. 8:00am Meet your driver outside the main entrance, and depart in your luxury van to Napier Airport for your flight to Queenstown. 10:00am Depart to Queenstown via Wellington, courtesy of Air New Zealand on NZ8885. 10:55am Arrive into Wellington Airport. 12:15pm Depart to Queenstown, courtesy of Air New Zealand on NZ605. 1:35pm Arrive into Queenstown and be greeted by your driver. Depart in a luxury van to Eichardts Private Hotel and The Spire. 2:15pm Upon arrival you will be shown around the facility and your accommodation by the team from each Hotel. 7:00pm Dinner recommendations and bookings are available if needed. This chic, compact hotel is located in the heart of Queenstown, just a short stroll to the lakeside promenade and all the cafes, bars and restaurants. Featuring stone fireplaces and designer furnishings, its ten stylish suites are very well appointed. Other amenities include its signature restaurant and bar, No5 Church Lane, plus a warm, colorful library. The Spire is elegant and beautiful, and defines what luxury in Queenstown is all about. 7:45am Everyone to gather outside the main entrance at Eichardts Private Hotel, where your driver will transport you to Jacks Point Golf Course. 9:00am Tee off at Jacks Point Golf Course. Caddies are not available. 1:00pm Lunch to be served at Jacks Point Golf Course. 2:00pm Depart back to your accommodation and enjoy the afternoon at your own leisure. 7:00pm Dinner has been booked at Botswana Butchery for the evening. 7:30am Checkout of your accommodation. Everyone to gather outside the main entrance at Eichardts Private Hotel, where your driver will transport you to Queenstown Airport for your flight to Auckland. 9:35am Depart to Auckland, courtesy of Air New Zealand on NZ614. 11:25am Arrive into Auckland and be transferred to Auckland International Airport for your flight back to the US. 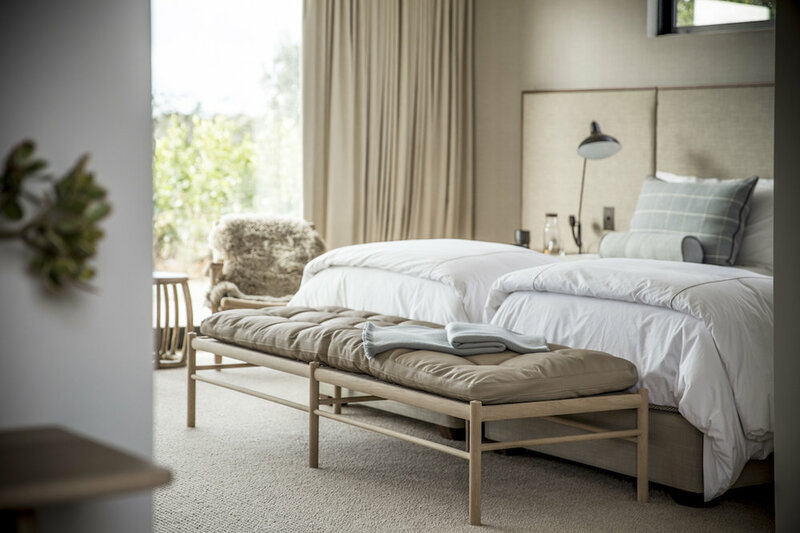 Kauri Cliffs and Cape Kidnappers - Your room tariff includes, pre-dinner drinks with hors d'oeuvres, a la carte dinner, full breakfast, complimentary mini-bar including domestic beers (excludes liquor and wine) and use of all lodge facilities (excluding golf and spa treatments). Total payment at Tara Iti will be handled directly by the client on checkout. 36 holes at Kauri Cliffs. Includes double caddie fee and golf cart for each round. 10% included discount for lodge guests and the replay rate. 36 holes at Cape Kidnappers. Includes double caddie fee and golf cart for each round. 10% included discount for lodge guests and the replay rate. 18 holes at Jacks Point Golf Course. Includes golf cart. Domestic flights allow two bags per traveller with a maximum weight allowance of 23kg per bag for checked baggage (including golf clubs) and 7kg per person for hand luggage. Baggage and personal effects are taken at owner’s risk throughout the tour, and baggage insurance is strongly recommended. Please consult your international air carrier for its specific restrictions regarding weight limits and baggage allowance. It is advisable that all participants take out comprehensive travel, medical, cancellation, curtailment and default insurance for the duration of the trip. Due to the remote and wild areas that will be visited, it is vital that all participants are covered for emergencies and other unforeseen circumstances. Eighth Wonder Travel will not be held responsible for participants travelling without insurance. New Zealand's rural-based economy requires strict bio-security, so it is important for golfers to enter the country with clean golf shoes and clean golf clubs. Anyone arriving with golf clubs and/or golf shoes will be diverted to quarantine inspection upon arrival in New Zealand. With clean shoes, clubs, and golf bags/travel covers, the inspection time should simply be a matter of minutes. For golfers with traces of dirt or grass, bio-security staff may clean the items and fines may be imposed on the spot. To ensure a speedy entrance, ensure that clubs, shoes, golf bags, and travel covers are free from dirt and grass.